Why should you own a PS4 Pro AND an Xbox One X? I’m going to discuss 5 reasons why it’s going to be worth owning both the Xbox One X and PS4 Pro when the Xbox One X releases this November. Each console has its own community and being able to play with other people. Now for those like me who don’t get into the whole multiplayer bit, there are groups where we could talk with other players about similar games. Each console certainly has better and updated graphics than its predecessors, the PS4 and Xbox One. I’m not saying that the graphics on PS4 and Xbox One are bad but with the newer consoles, you can definitely see the differences in the graphics and they make it more believable and realistic when playing a game. Each console has its own set of games that is just for it. Even if you are a fan over one console more than the other, having both consoles does have it’s advantages. By having both, if there ever comes a time when you want a specific game and its only on PS4 Pro or Xbox One X you can get the game and not feel left out about having that game that will never come out on your preferred console. If there is ever a time when you are looking for a game that is suppose to be on both consoles and the place doesn’t have it for your preferred console and you want that game right then, you can always get it for your other console. The Operating System on each one is pretty unique to the console. Also the overall design of each console makes each one special . Each one has its own nice design and each console can do things better or differently than the other console that makes me wish that it should be on both consoles. If you have a family of gamers, and one is playing on one console, you can always hop on the other console and play on there. Though it can cause some issues if you want to play an exclusive and the person is on that console already. 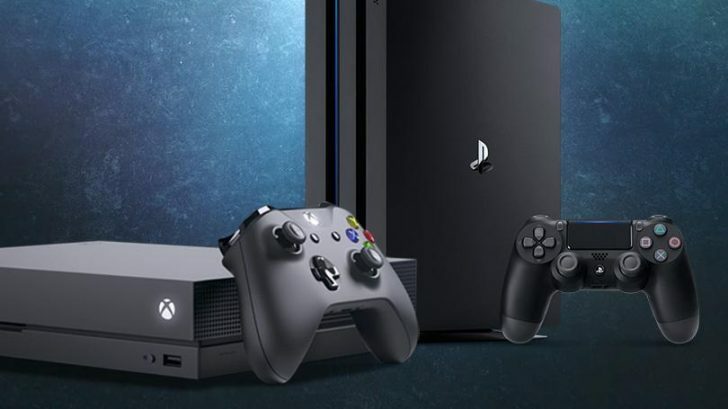 Overall, you should buy both PS4 Pro and Xbox One X just so you use the advantages that each console possesses even if you just want one of them just for the exclusives that it has then it is totally worth it just to get as long as you enjoy the game and the gaming experience.